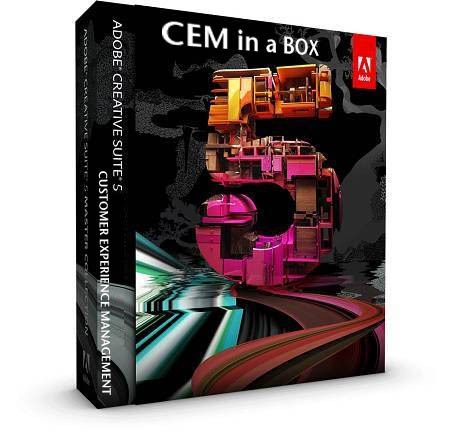 Adobe Launches new CEM Software! After being under the embargo until Mar 31, I can finally talk publicly about Adobe CEM! Part of the next evolution of enterprise architecture, Customer Experience Management (CEM) is a principle that applies to the user’s experience over the complete lifecycle of their relationship with an enterprise. Opposed to UX (User Experience), CEM covers more than one system. Architects who apply UX principles often only work with one system or process at a time, hence are not able to gauge a customer's overall experience. This covers a continuum of phases, which may be non-sequentially or even concurrently in effect including awareness, attraction, interaction, transaction, servicing, collaboration, and advocacy. The result of a great customer experience is a positive advocacy while the result of a negative experience is a negative advocacy. The underlying technology is built on a new markup declaration named UXML (User Experience Markup Language, a markup based on the W3C XML format. UXML is also built off a new First Order of Logic (FOL) model that helps companies recognize where overlap in interactions occur. Using this data-centric modeling approach, you might notice, for example, that your web-based forms are sometimes asking customers for information you already possess on them. Not asking the customer for the same information twice again means a better experience for your customers. This in turn makes them more likely to be positive advocates for your enterprise. Another aspect of the core technology behind CEM is the SCHISM engine. The Social Content Holistic Index Sharing of data and Metadata (SCHISM) helps enterprises reconcile data from several disparate systems or even non-system silos such as call center metrics. The context engine helps preserve the true semantics of the data so that knowledge workers using the Complex Binary Shell (Complex-BS) have the correct data to serve customers in a way that will make them smile. While this sounds all very confusing and abstract, the software is easy to install. You simply insert the first DVD shown below and hit “install” and CEM will do everything for you. Your customers will become rich, famous, and instantly good looking and thank you for it. You will be rich, famous and featured in People Magazine as a direct result. Everybody will be happy. Adobe MAX 2011 - Crowdsource Request! Adobe MAX 2011 will probably once again be the best place and time you can be all year long to learn about Adobe LiveCycle ES. We've already started assembling ideas for topics internally but I would really like to seek input from the LiveCycle Developer Community. Specifically, please send me an email to dnickull at adobe dot com and tell me what topics you would like to see taught at Adobe MAX in Los Angeles, October 1-5, 2011. Adobe MAX - Save the date! This year's MAX will happen October 1-5, 2011, once again at the Los Angeles, CA convention center. I will be there!